Since being inserted into the starting line-up on Feb. 4, New York Knicks point guard Jeremy Lin has become the biggest story in sports, averaging 25 points and 9 assists per game and leading the Knicks to a 7-1 record. While his ethnicity has made him a figure that transcends basketball, a huge part of his appeal comes from the long odds he overcame to achieve NBA stardom. 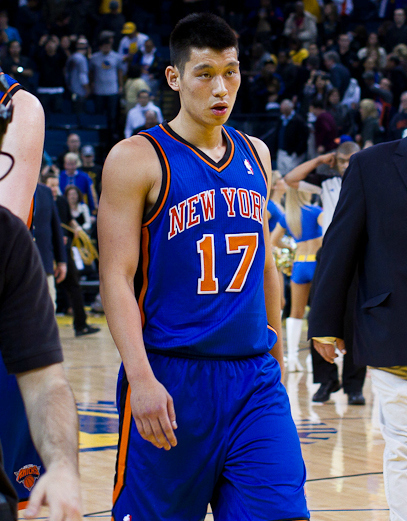 Undrafted out of Harvard in 2010, Lin had been cut by two teams -- the Golden State Warriors and the Houston Rockets -- before making it to New York City. The Rockets, who have two starting-quality PG&apos;s in Kyle Lowry and Goran Dragic, did not need him as much as the Knicks. With Baron Davis still recovering from off-season surgery, New York had one of the worst point guard situations in the NBA before Lin’s arrival. Lin has better statistics than either Lowry or Dragic this season, but that’s mostly a matter of opportunity. Not only does Lin have the ball in his hands most of the game, he plays for the same coach (Mike D&apos;Antoni) whose system turned Steve Nash into an MVP in Phoenix. His usage rating, a measure of how much offense New York runs through him, is 31.3, which is the 5th highest in the NBA this year. Most of his success has come as the result of being in the perfect situation to maximize his talents. Point guard is the most replaceable position in the NBA, and while neither Toney Douglas nor Iman Shumpert were able to fill in for Lin, you could exchange him with the starting PG’s for at least 20 other NBA teams without noticeably harming the Knicks. That’s not a statement on Lin’s ability as much as it is the number of quality point guards in the modern NBA. In a sport where height is vital, it’s going to be far easier to find a 6’2 player capable of running point than a 7’0 player capable of playing center. The focus on Lin’s individual play is reflective of a broader trend in American culture, which emphasizes individual achievement and ignores the context which made it possible. His Ivy League pedigree made him an underdog in the world of sports, but in most other fields, from law to finance and business, Ivy Leaguers have the same “pedigree” advantage that UNC, Duke and Kentucky players have in making an NBA roster. For example, while “Big Law” firms will interview the vast majority of Harvard and Yale Law school students, they have increasingly stringent grade cut-offs as they go down the U.S. News Rankings. Yet the difference between being admitted to a Top 14 school and a Top 50 school is usually nothing more than a few points on the LSAT. While Harvard Law graduates may be marginally brighter, there’s no reason to believe the average graduate of a Top 50 law school couldn’t handle the same dreary work that young lawyers at “Big Law” firms do. Like NBA point guards, the average first-year associate is pretty replaceable, but firms, who are flooded with applications with every year, need to draw a dividing line somewhere. And just as an end-of-the-bench player in the NBA makes significantly more money than his equally talented counterparts playing in the European minor leagues, law students who win the Big Law “lotto” end up on the other side of the bimodal salary distribution in the legal field. Over the last decade, as the salaries of the top 1% have increasingly drifted away from the other 99%, an Ayn Rand-inspired school of thought has emerged, with the lucky few telling themselves that they “deserved” their salaries. But for every LeBron James or Steve Jobs, there are dozens of Jeremy Lin’s, people who took advantage of being in the right place and the right time. Lin has become one of the NBA’s biggest stars, but if Baron Davis had been healthy all season, he probably would have never gotten the chance to show it. Before injuries to Carmelo Anthony and Amare Stoudemire, the Knicks were considering cutting him, which would have made them the third team to let go of the point guard in less than a year, likely forcing Lin to play overseas. Jeremy Lin, like the vast majority of Americans making more than $500,000 annually, is replaceable, no matter what the media may try to tell you.